The Idol has risen from the dead!! If this is all for real & not some sort of off-kilter April Fool gag, it really deserves some HUGE fanfare in the sites & magazines YouTube & certainly on Washburn's social media!! Or maybe even in the Forums area. UPSIDE: Grover tuners are FINALLY back. DOWNSIDE: if WMS doesn't have them, likely nobody has them... & WMS doesn't have them. WEIRDSIDE: they brought back not only the BFTS superstition but the much-unloved VCC. Both ought to be made OPTIONS before they scare the sheep. Re: The Idol has risen from the dead!! GearNews.com: "Washburn Idol range makes a comeback in 2018"
I am reporting an error. In the previous posts, I am unable to load more than ten words at a time, as little as four. After two or three modifications, that minimal functionality often ceases entirely. ten and more times and STILL getting nowhere. Thanks for your swift action. Truly, it is GREAT to see the Idols back, considering that (to this outsider) the WI-64 looked like a solid seller AND used to have good endorsements & metalhead cachet. ...but the line was brutally terminated almost a decade ago, flushing all that goodwill & top-of-mind presence down the toilet. The price -- rather, the perceived price:value ratio -- will probably kill this exuberance quickly. Right this moment I'm considering a flametop WM-100, asking $725 delivered, with OHSC. And there's a walnut-top BT-6 seeking $350 & a semihollow WI-67 ($300) -- the change from that $799 buys a LOT of upgrade. I can admire pretty wood, but it takes cachet to sell it at a premium, & those buyers seeking cachet tend to go toward "names" -- Gibson, Fender, PRS. At the end of the day, the model numbers themselves make clear that's a WI-26 & a WI-16 -- so NOT top-of-the-line. I'd feel weird passing up a perfect WI-64 for under $400 in order to spend much more on a "pretty pretty" axe. Strip it down!! You don't have to stoop so low as bringing back the WI-14, but why not the WI-18?? If you're gonna go after LP players, then renew the WI-45, & make it an upgrade path to the WI-66PRO. Certainly the WIT-16 ought to RIGHT THIS VERY MOMENT be being relentlessly flogged as a quality option to a Tele (especially with that pickup wiring!). And whose bright idea was it to demote the WIS-26 rather than make it a proper heir to the WI-64DL??? Make the BFTS a $20 option; if nobody thinks it's worth a double sawbuck, then you'll maybe realize it's nonsense. Better yet, get Buzzy to pay Washburn $20 per axe, seeing as how this is the last company to be giving him so much free publicity in EVERY press release & webpage & stamped on all those guitars. Make the VCC an OPTION. Personally, I like it, & could see myself paying an extra $40, maybe a bit more. 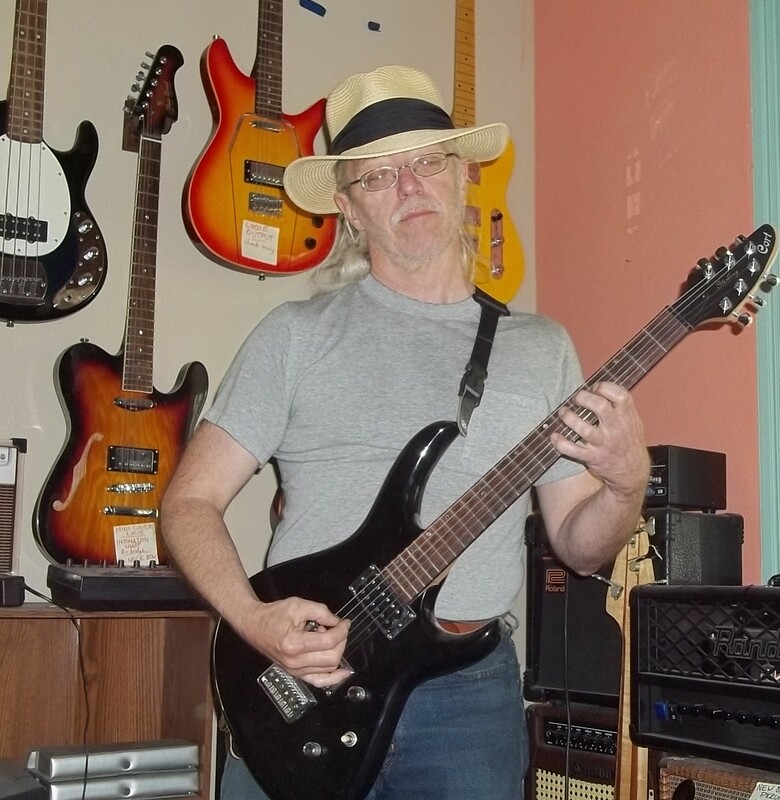 However, it loses track of the unshakeable FACT that guitarists are a primitive, superstitious people -- many believe their frets are made of silver!! -- & easily frightened by anything new that isn't being fobbed off on them by some Guitar God. Therefore, the VCC needs a full relaunch: multiple YouTube demos, paid articles in the magazines, its own corner of the NAMM booth, a prominent or soon-to-break endorser who gets LOTS of media exposure & raves about the VCC in interviews. Without those things, it's a total waste, & very few people are going to rip the guts out of a NEW $800 guitar when they could just get a standard Epi LP. +1, especially this: "If you're gonna go after LP players, then renew the WI-45, & make it an upgrade path to the WI-66PRO", this: "Make the BFTS a $20 option" and this: "Make the VCC an OPTION". Still loving the WI-45 (though my daughter has it now) and, though I have not done it, I do like the WI-66 upgrade path. I ripped out the VCC and installed a JP push pull wiring on my WI66Pro. Never looked back. The Gibson LP and the American Deluxe Strat stay in their cases. No need to get them out anymore.